Mr Gopal Chaturvedi along with 20 students from different parts of India visited St. Peter Ording and Schwäbish Hall from 29th May 2016 to 18th June 2016. At the beginning the students explored St. Peter Ording, Hamburg, Germany. He stayed there for a week with students and then attended a German Teaching Workshop (DLSE 2.5) at Schwäbisch Hall in Germany from 6th June to 18th June 2016. The participants were from Frankreich, Irland, Kasachstan, Dänemark, Costa Rica, Portuga, and Indien. The workshop focused on the methods adopted in teaching German all over the world. They also introduced some new methodologies such as introducing games in classroom, creative writing etc. 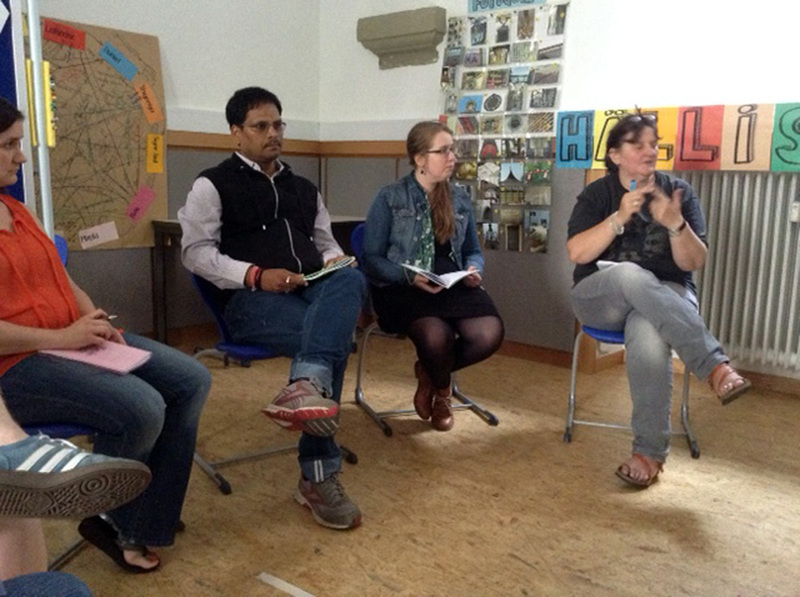 All the participants developed a small story book in Schwäbisch Hall. Mr Chaturvedi intends to implement the learning in school for the benefit of the Scindians and faculty.